Leave it to former president Gloria Macapagal-Arroyo to always be one of the first and earliest. 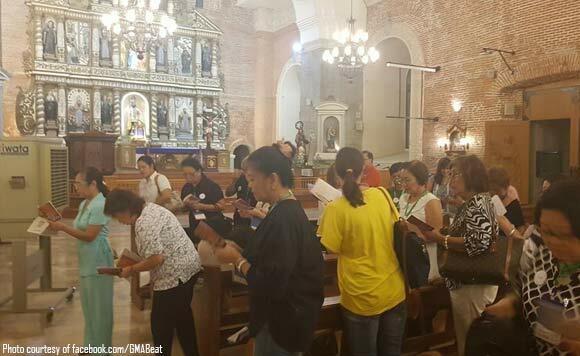 The politiko started her Visita Iglesia around Pampanga on Monday, March 26. The Pampanga 2nd District representative joined the Cenacle group at the Sta. Catalina de Alejandria de Arayat Church. She was joined by Arayat Mayor Emmanuel Alejandrino. She then went to a church in Betis and the San Augustine Church in Lubao.